The Office of National Statistics figures released in July 2015 show that the greatest rise in the percentage of people getting divorced in 2014 are couples aged 50 to 64. This trend in older people divorcing is not new. By 2013 the number of over 60s divorcing had reportedly increased by over a third in the last decade. Dramatic changes in life expectancy have led many couples to reconsider whether they really want to grow old together. Today’s over 50s are fit and active and no longer feel that there is such a stigma attached to divorce. Marriages are more likely to end in divorce and less likely to end in the death of one spouse than they were in 1991. And as you head towards retirement it can trigger a reappraisal of how you want to spend your later years. Some suggest that the older generation have become more aware that they can split from their current partners after the children leave, and still meet new partners. They can go on to lead more fulfilling lives, rather than staying in less than satisfactory relationships. Others suggest that, once the children leave, couples discover that they have less in common than they thought they did. Plus, women are often more financially independent than before and may feel more confident to make the break. In general divorce can be simpler and cheaper when child maintenance is no longer in the picture. Conversely, “Silver Splitters” may have more to argue over, where they have benefitted from rising house prices and where they may have generated a significant amount of equity in the house over a number of years and have at least one hefty pension to consider. 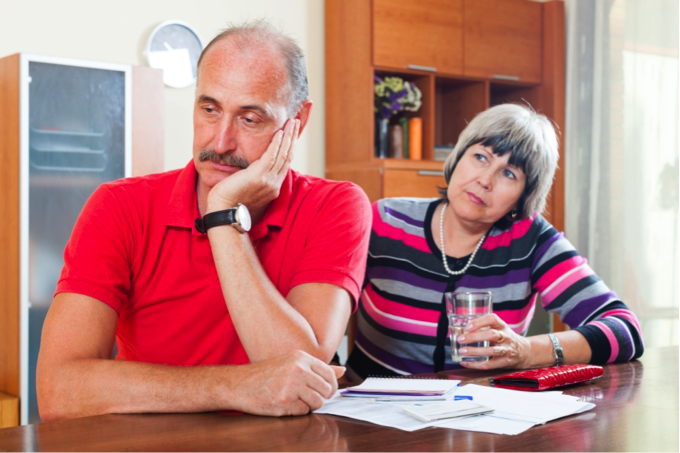 Changes in the law which allow pension funds to be shared may also have had an impact on the over 50s divorce figures. With the latest developments following on from this year’s budget, the over 55s now have some freedom to cash in their pension pots; no surprise that they are taking hold of this new found freedom to make the break. However any split or equalization has to be handled with care because comparing different types of pensions with differing contributions and different rights is like comparing apples with pears. At Focus Mediation our mediators who work with the financial aspects of divorce are all lawyer mediators. Our lead mediator and Managing Director, Mary Banham-Hall, has an advanced qualification in pensions and trains the team to mediate this minefield to best effect. By coming to mediation, we can help you to work through where you are and where you want to get to as quickly and cost-effectively as possible, focusing on your priorities and what you need to move on and live separately. This entry was written by focusmediation, posted on September 11, 2015 at 3:45 pm, filed under Family, Mediation, Separation and tagged Conflict, Divorce, seperation. Bookmark the permalink. Follow any comments here with the RSS feed for this post. Post a comment or leave a trackback: Trackback URL.